Her Motivational MCAT Success Story: From 499 To 511 In 3 Weeks?! ​[Description] In this article, you’ll learn P/S strategies and tips from two 131 P/S Scorers and how they increased their Psych/Soc score on the MCAT incredibly fast! Over the years, we’ve seen how brutal the MCAT struggle can be. First, there’s so much content and it sometimes feels like you can never relearn it all! There’s a constant fear of being unprepared when test day arrives. Also it can get frustrating when you’ve studied for weeks, then do practice tests and see that a score has barely improved, not improved at all, or worse - has decreased! The list of MCAT struggles is never-ending. So before we begin with helping you get your score to where you want it to be, we want to first let you know that we’re incredibly proud of you and you’re doing a great job so far. We don’t personally know you but what we do know, is that you’re smarter than the average person for having made it to this stage of your career. You’ve worked hard, surmounted many obstacles, and you’ve made it here – almost as close as you can get to the gates of med-school. This is just another obstacle – that you DON’T have to go at alone. We’re here to guide you. We know that with the information you’ll find from our articles and resources, you’ll have all you need to get over this barrier to med-school smoothly and confidently. The Psych/Soc section of the MCAT triggers mixed feelings. Some students love it, find it interesting, and can’t wait to get to it during exams so they can ‘relax’ a little. Others fear this section the MOST! Wondering what’s to fear about this section? Well it’s very content heavy, plus a lot of students don’t take a uni level Psych/Soc course before. Plus, there have been claims that you almost always end up seeing terms or names in there that you’ve likely never seen before on AAMC full-lengths. Regardless of what your situation and perspective is, you can use a nice boost in your score on this section. This is one of the sections on the MCAT that SHOULD be conquered. Generally, the sciences and CARS are harder. Which is why a low score in this section may be a red flag to med-schools. [Step 1] - We find 90+ percentile MCAT scorers and do whatever we can (pay them and more) to extract all of their methods and strategies they used to increase their score to such high competitive levels. Over the years, we’ve been able to filter out the outliers and keep ONLY the MOST valuable, high-yield strategies, that we see are most commonly used by top MCAT scorers. For specific sections, we single out 130 to 132 scorers, those who are masters in those sections, and find out exactly how they studied for that section. For example, if you’re also struggling with CARS, you definitely want to check out this resource we created that is filled with strictly 130+ CARS scorer strategies and methods. (Hence why I did so well on psych/soc but hardly any better than average in my true field of chemistry). Next, I want to say that I truly enjoyed studying the material for psych/soc, which makes a huge difference if your mindset around the studying is a positive attitude. Even for subjects that a student may not enjoy, it is beneficial to convince themselves that they do enjoy it in order to create positive associations that can improve conceptualization. Third, and kind of returning to my first point of identifying weaknesses, I realized that high-yield test concepts such as Nash equilibrium and Game Theory were foreign concepts to me, and I spent a considerable amount of time watching videos on YouTube to really firm up my understanding in those unfamiliar arenas (unless the student took a fair amount of economics or other related social sciences in undergrad I'm guessing that they would similarly benefit from honing in on an understanding of these concepts). Additionally, even though these concepts are more fairly recognizable and obvious, I would reiterate to have a solid understanding of key psychologists/sociologists of the 20th century (Freud, Piaget, Erikson, Kohlberg etc.) and what major research experiments had lasting effects on the field. Lastly, I found psych/soc concepts the easiest subjects to create my own study scenarios from real life situations and try to work through them in my head with any spare time to increase my conceptualization. 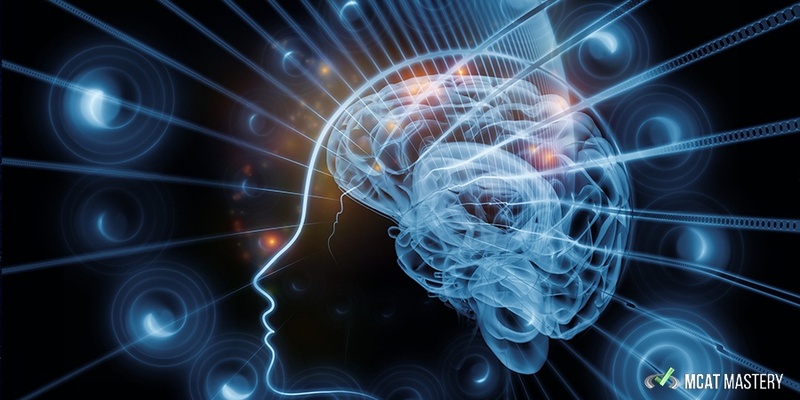 For instance, if a friend asked for my reference for a job he was applying for - in my head I identified this is a case of using his social capital for socioeconomic mobility, and when the hiring manager made their decision about his application they required heavy use of their prefrontal cortex of the brain to aid in the complex decision-making at hand. Stuff like that sounds silly but can really increase understanding and doesn't require any formal study time. I would also like to add that the psych portion of the exam is difficult for students because it’s the last part of the exam day! This is when fatigue increases and focus and motivation decrease. Students therefore would also benefit on psych by working on their test-day endurance and keeping focus through the entirety of the exam. Tips from me are to take full-length practices, meditate during your breaks on exam day, eat extremely healthily on exam day, and sip some caffeine during breaks on exam-day. I personally abstained from caffeine products during my weeks of studying leading up to the exam in order to reset my caffeine tolerance to be most sensitive when I needed it most on exam day." Troy is absolutely brilliant and his advice is gold. It’s no wonder that he was able to increase his MCAT score by 13 points in just 3.5 weeks! Ending up with a competitive 512! Also, this was just his insights about one section of the MCAT. 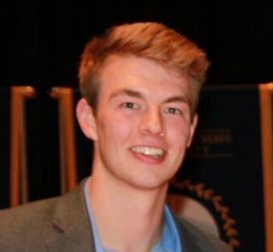 We have an entire article dedicated to Troy’s success story where he shares even more wisdom that led to his incredible MCAT score improvement! You can read it here. "Out of all the sections, I usually go the absolute slowest for P/S, despite it being somewhat of an easier section for me. I noticed that when I went quickly through, telling myself I could recheck weird questions later, I always made smaller mistakes that I wouldn't think to check back on. Then I began to treat each question as if it was the last time I would be seeing it - take my time, make my best judgement, and move on. Of course, if there is a question that is wordy, confusing, or vague, I mark it and go back in hopes that taking a break from it and coming back will allow me to see something that I missed before. So it's really a balance - going slow and making each answer "final", but also knowing when a question could use a second look later on from a fresh perspective. In my opinion, I also feel like P/S section is not trying to trick you like many of the other sections seem to, so I try not to overthink them. Usually the answers end up being the simplest (Law of Pragmanz?!) And of course, pure memorization of terms helps haha. Looking up any terms I would come across and noting them either in Anki cards, quizlet, etc." Kayla’s advice is also fantastic. We highly recommend you put it to use and see the results it brings for you. We also have an entire article dedicated to Kayla’s MCAT success story with a lot more of her insights on how she increased her MCAT score to get to a 511! Make sure to read her story here. By the way, in the VIP MCAT Mastery Member’s area, you can get access to a 527 MCAT scorers Psych/Soc MCAT study notes! These notes are an incredible resource that have helped hundreds, if not thousands, of students increase their P/S score on the MCAT. You can find out more about the VIP area here. Before ending this post, we want to remind you that we really care about your success, and if you’re not achieving the score you want, whether it’s in P/S or another section of the MCAT, or on the entire MCAT overall, it’s because you’re doing something that’s keeping your score down... OR you’re missing something that you need to do to bring your score up… OR it’s a bit of both of these things! Once you take an hour or two to go through all the reliable, proven top scorer strategies we have for you, you’ll know the most efficient and optimal way to approach the MCAT. Then, you’ll know exactly what you’re doing right and what you need to stop doing immediately. You’ll also know exactly what kind of MCAT prep strategies to add to your toolbox, to increase your MCAT score with every practice exam you take. There isn’t a smarter, more strategic, and more efficient approach to achieving your maximum MCAT score. We guarantee that. Download and go through the proven top scorer strategies we have for you here, that have already helped so many students achieve their 510+ competitive MCAT scores, which have helped them get into med-school. Let this be the last time you write the MCAT. 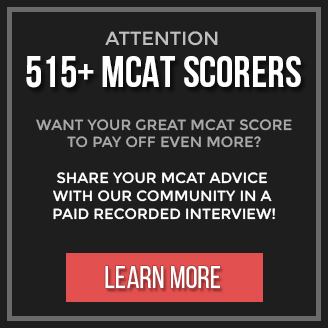 Every year MCAT Mastery helps thousands of premeds in achieving their target MCAT score goal so they can get into the med-school of their dreams. The dedicated team at MCAT Mastery accomplishes this by conducting ongoing research and paid interviews with 90+ percentile MCAT scorers, to bring you the most credible, most proven MCAT prep strategies on the planet.